Texas Tech sophomore guard Jarrett Culver is expected to announce soon that he will be entering the NBA Draft, a source told ESPN's The Undefeated. The 2018 Big 12 Player of the Year averaged 18.5 points, 6.4 rebounds and 3.7 assists this season. Culver has been meeting with agents all week. Already the AP Player of the Year and Naismith Award winner, Zion Williamson took home the Wooden Award on Friday night as the nation's top men's player. Russillo on why he's happy Tony Bennett and Virginia won the title, why Antonio Brown's still so mad, plus Mike Schmitz talks NBA draft prospects and a Ceruti "Magic Minute." Seth Greenberg, Dan Dakich and Chris Cotter share their reactions to Virginia's first-ever National Championship victory, including just how good of a story this is for the Cavaliers in this one-and-done era of college hoops (1:00). Plus, who may emerge next year and who should get the UCLA job (22:39). The star sophomore scored 22 of his career-high 27 in the second half and OT, including a clutch 3-pointer that tied the title game at the end of regulation. Texas Tech came up just short in this program's historic run but was conscious of smelling the roses and savoring the moment. 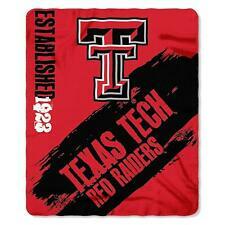 Now, we'll find out whether the Red Raiders' national emergence is sustainable. One bettor had a $1,500 ticket on Texas Tech at 200-1 odds to win the national championship and didn't hedge his bet. Here's his story. The Cavaliers needed OT to win the program's first title one year after their shocking first-round defeat. Red Raiders forward Tariq Owens is starting for Texas Tech in the national championship despite suffering a sprained ankle in the second half of Saturday night's win over Michigan State. Seth Greenberg and Dan Dakich recap Texas Tech overwhelming Michigan State and Virginia's close call against Auburn (1:30). Plus, they preview tonight's National Championship game between the two teams (13:57) and discuss new allegations against Duke-Zion Williams by Michael Avenatti (33:17). National championship predictions: Will UVa or Texas Tech win first title? One team will win its first national title on Monday. 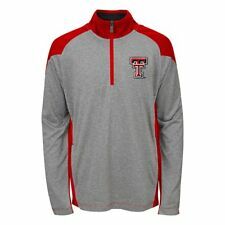 Will it be the ACC's Cavs or the Big 12's Red Raiders? Every national champion since 2004 has enjoyed an advantage in one specific stat. The Red Raiders hope that streak continues Monday night. Virginia is a 1.5-point favorite against Texas Tech, but should you go with the underdog? Our handicappers give their favorite championship game bets, including props. Texas Tech's Tariq Owens didn't practice on Sunday, but he is expected to play in Monday's national title game against Virginia, coach Chris Beard told ESPN.